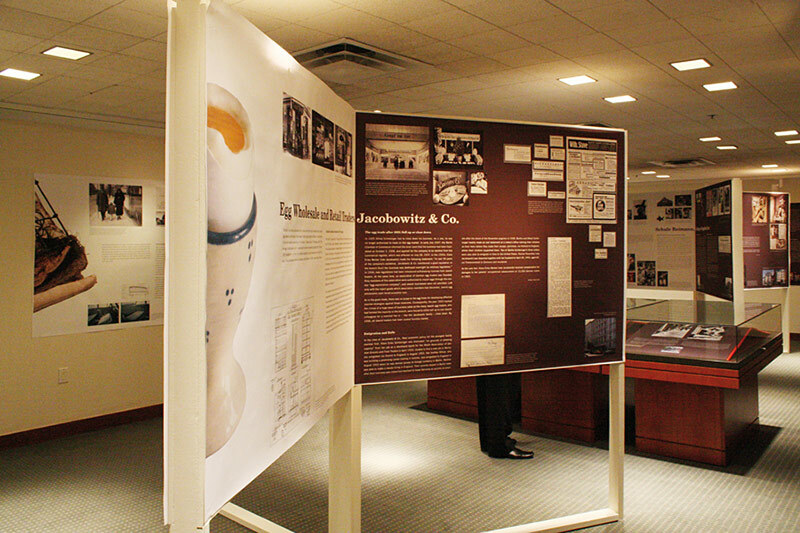 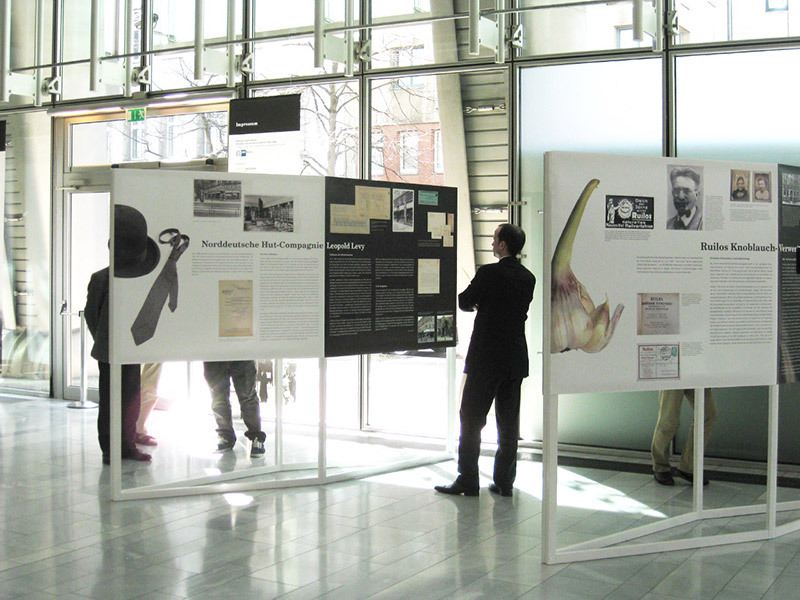 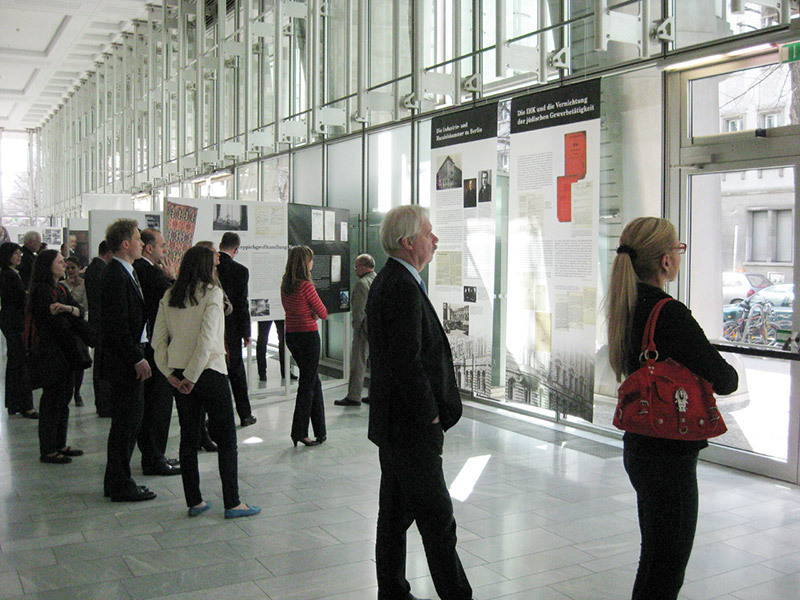 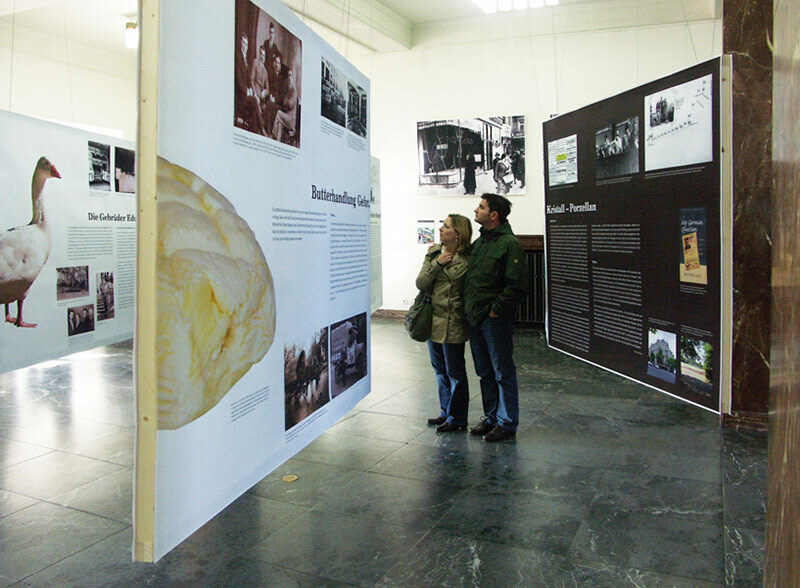 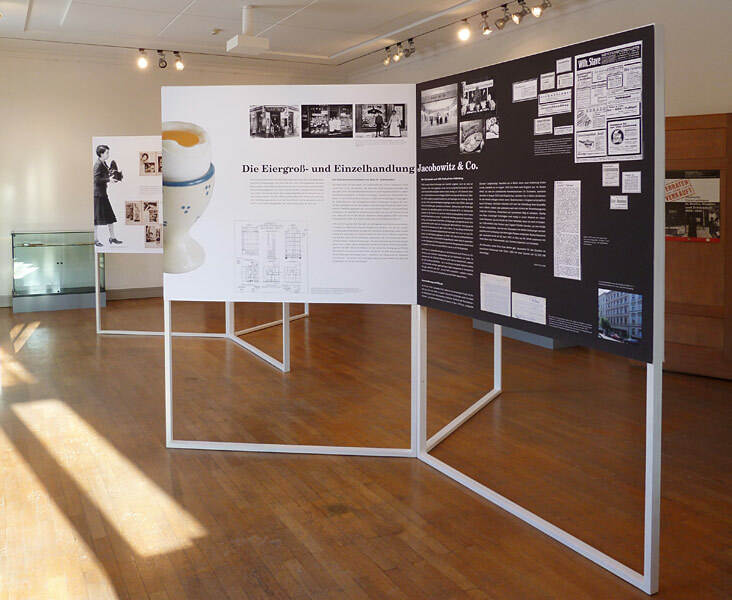 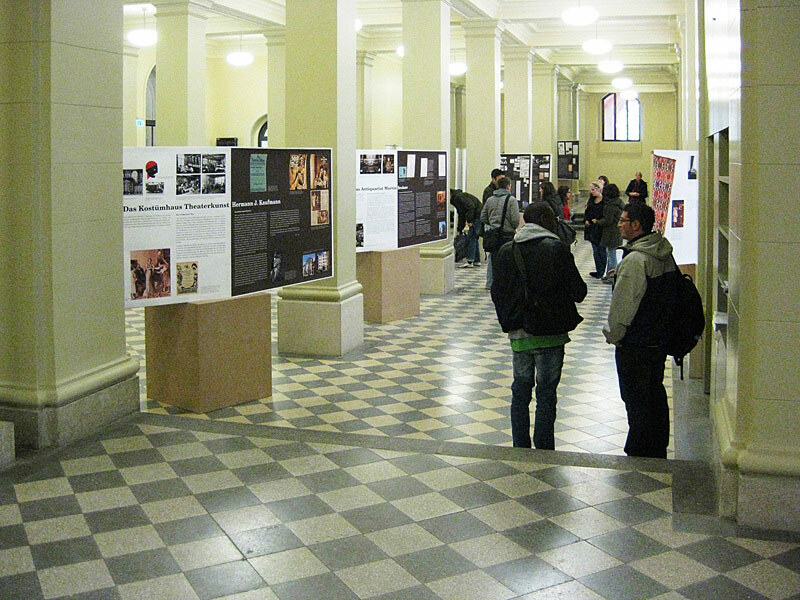 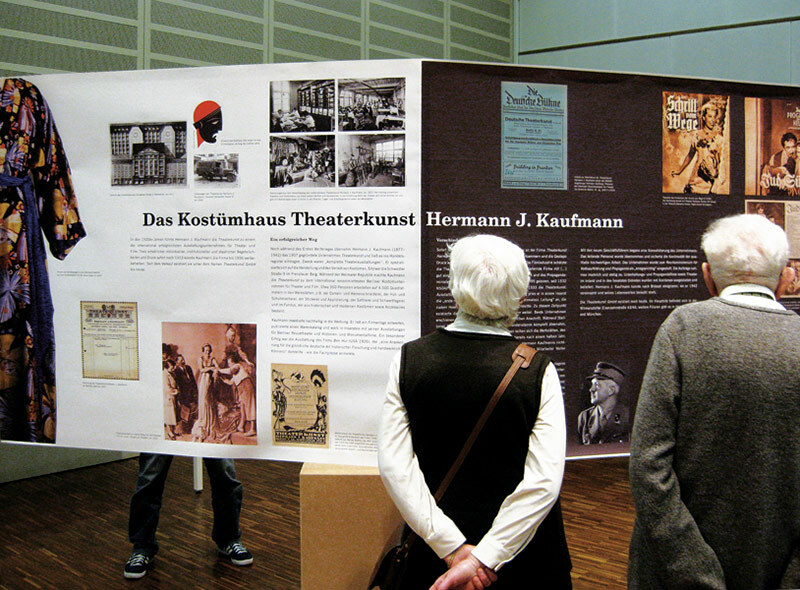 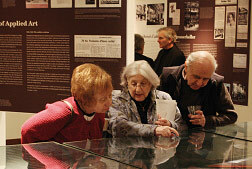 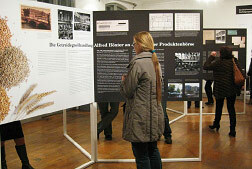 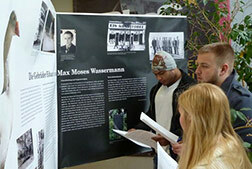 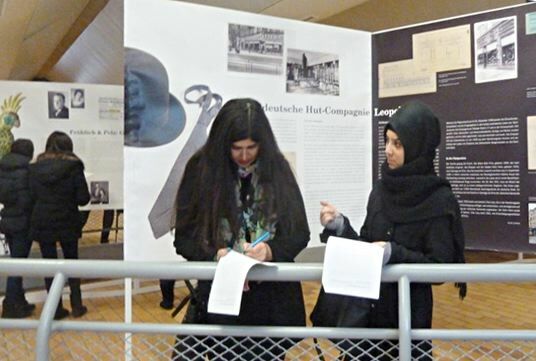 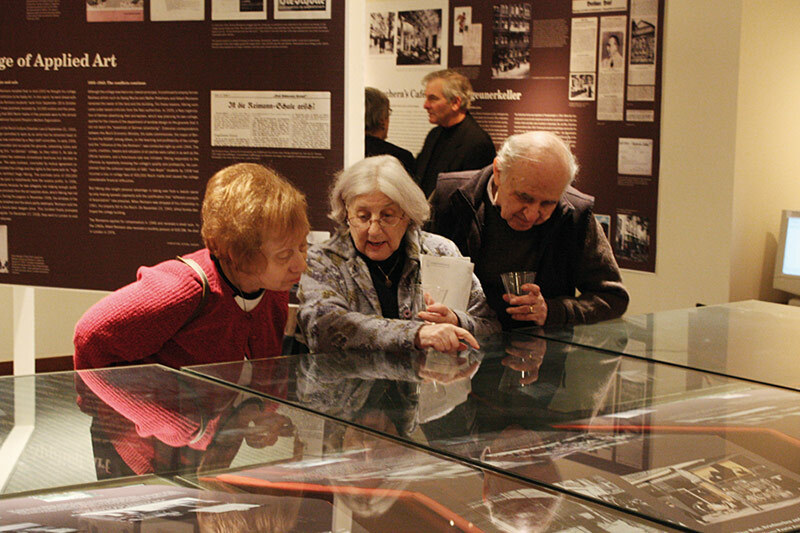 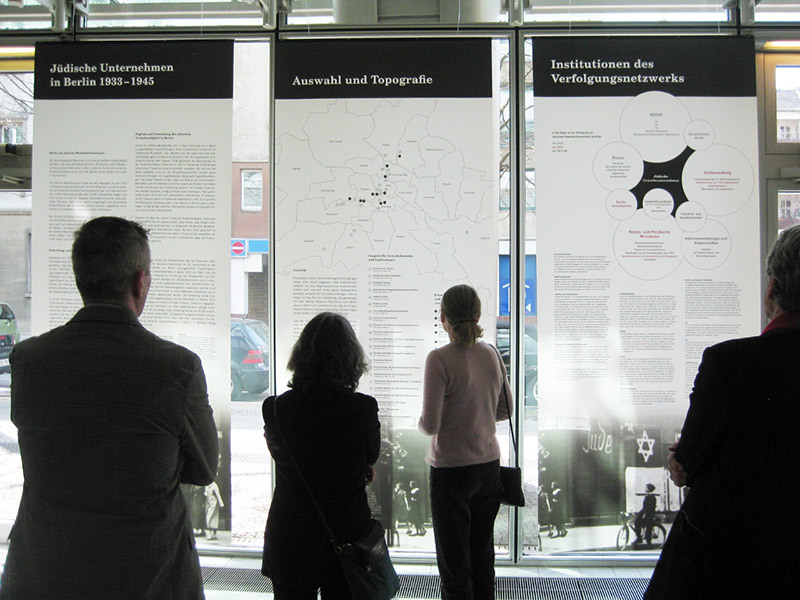 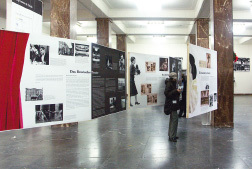 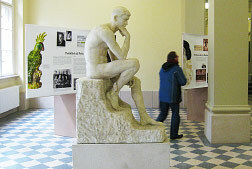 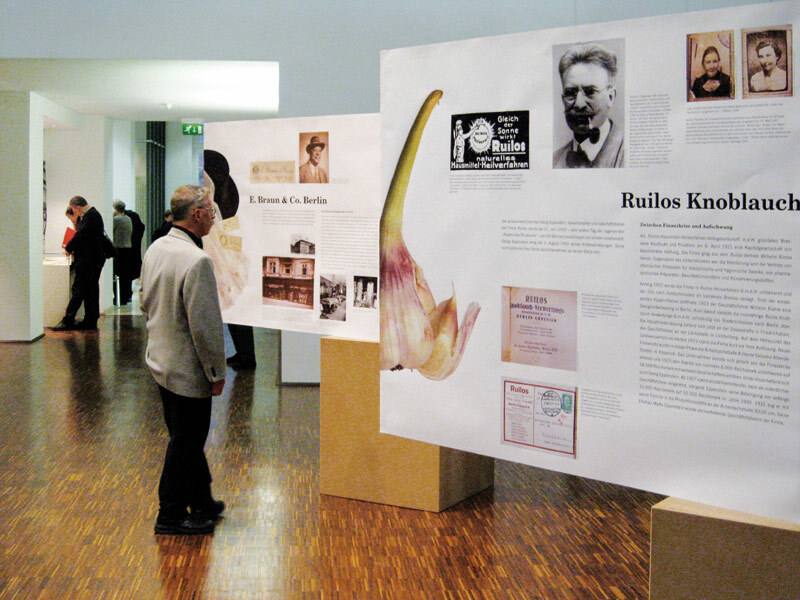 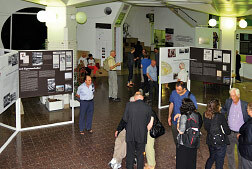 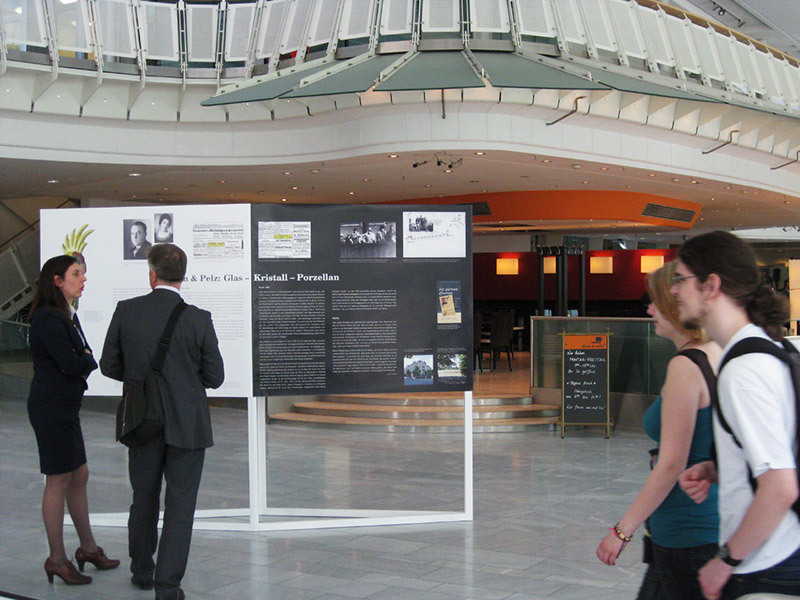 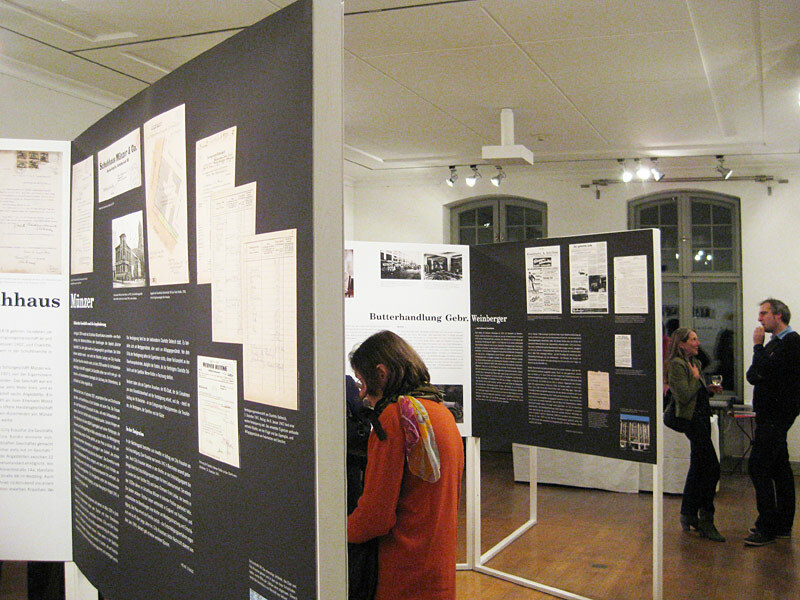 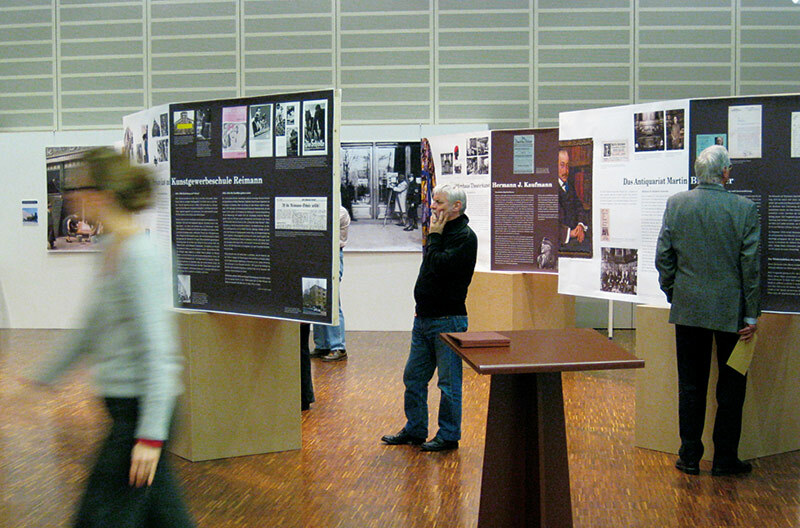 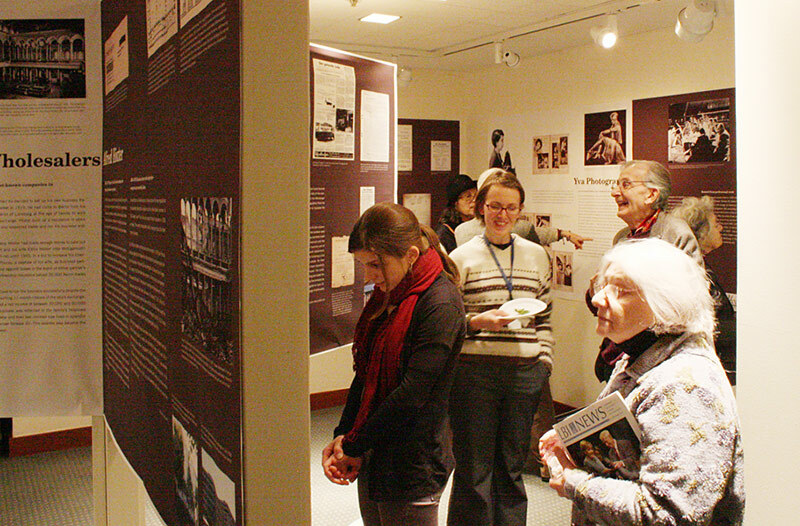 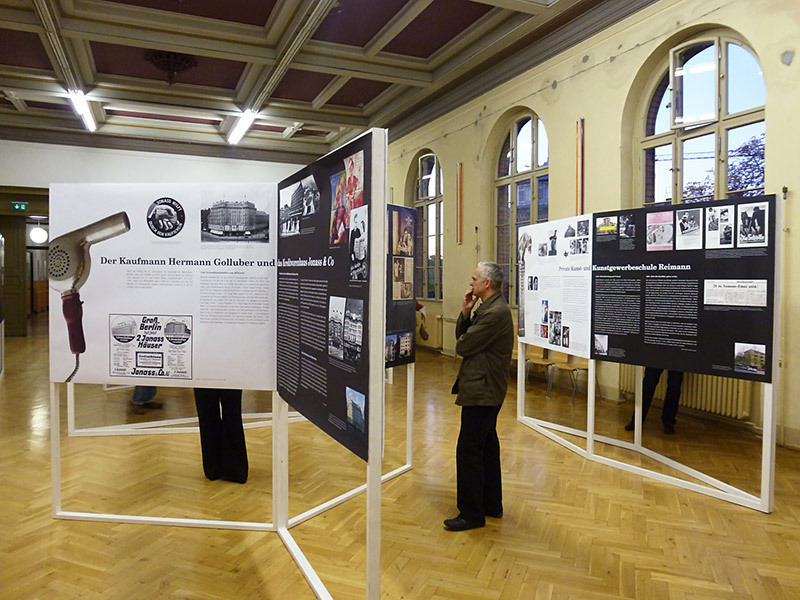 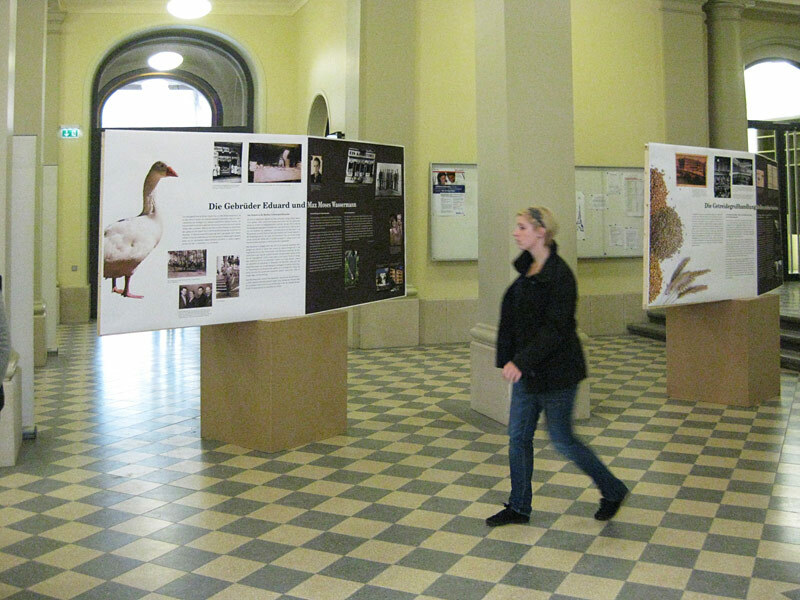 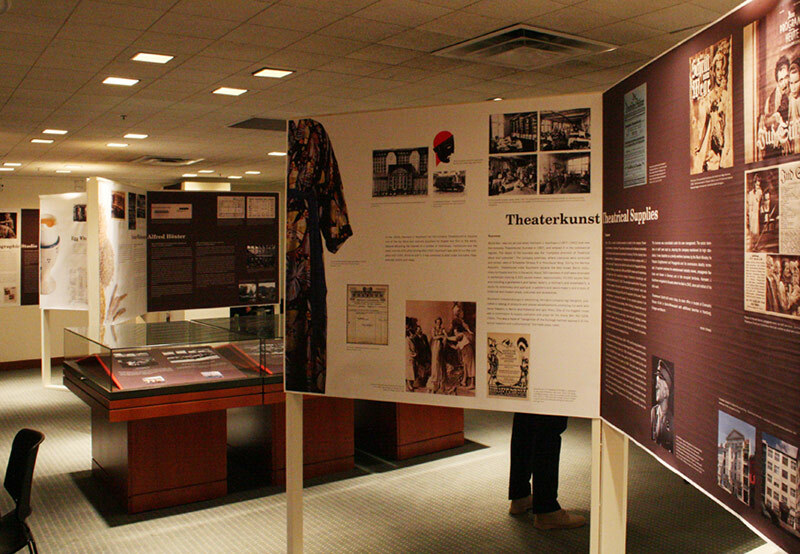 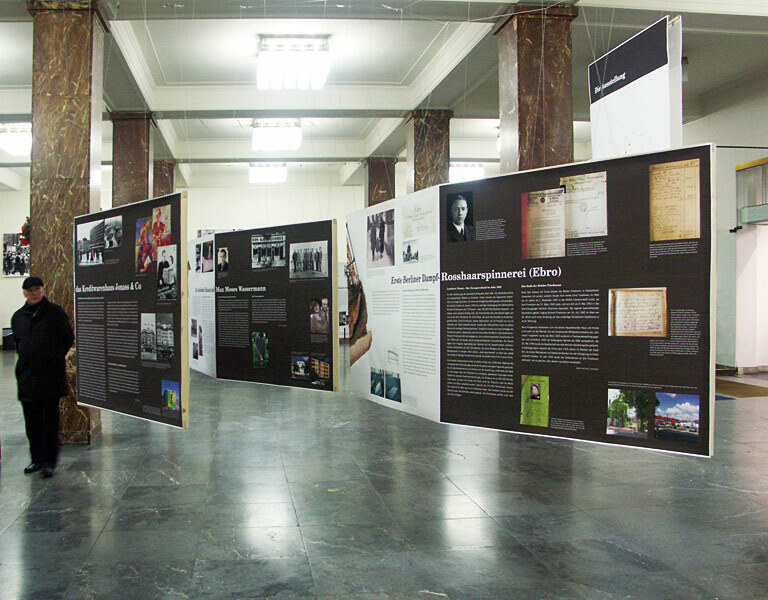 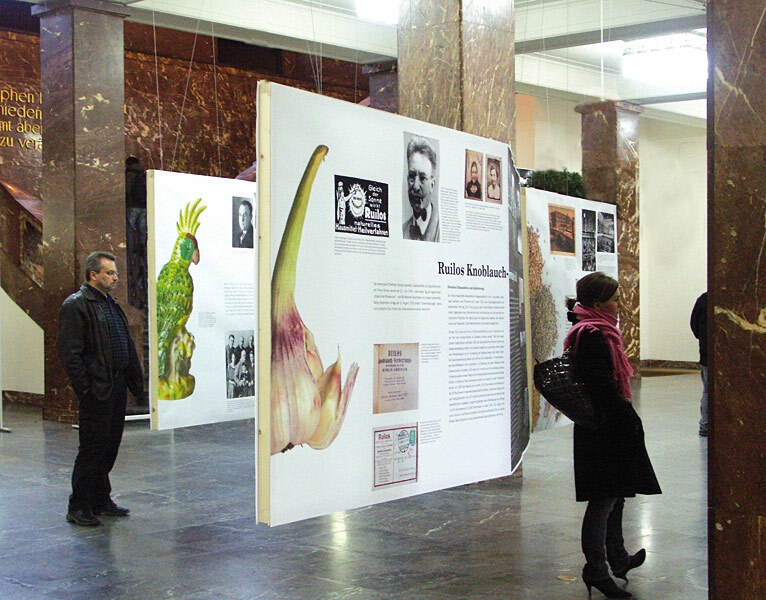 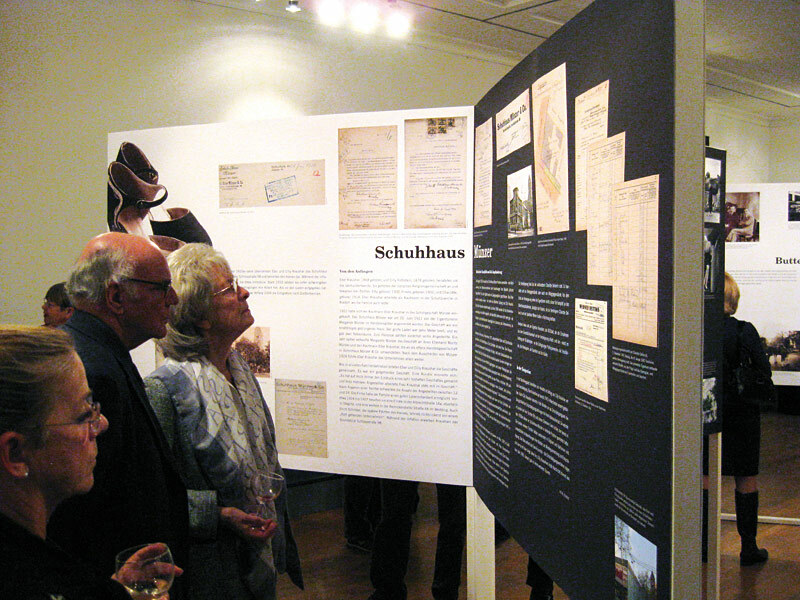 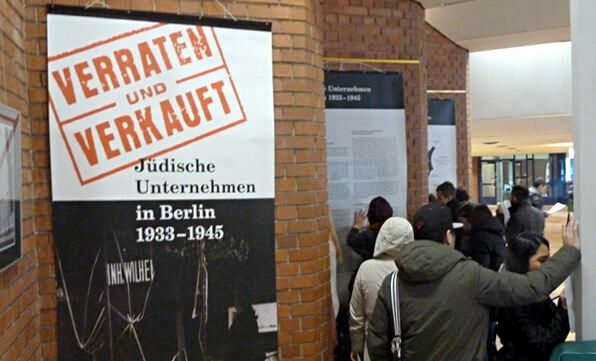 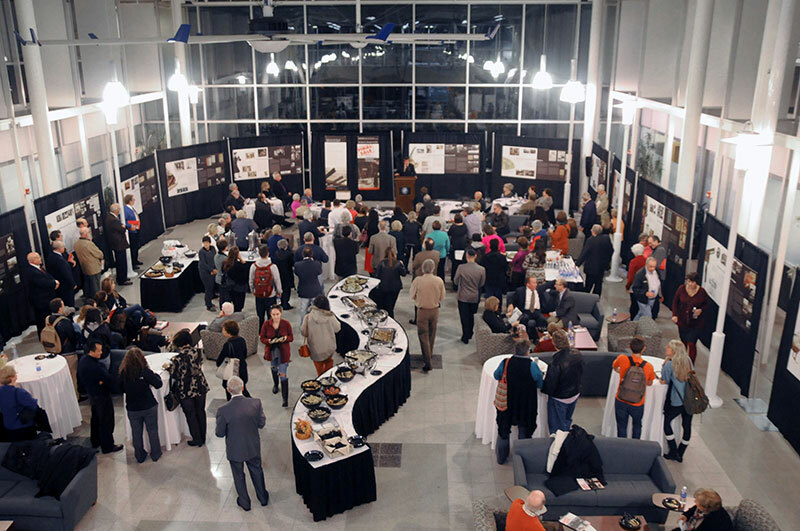 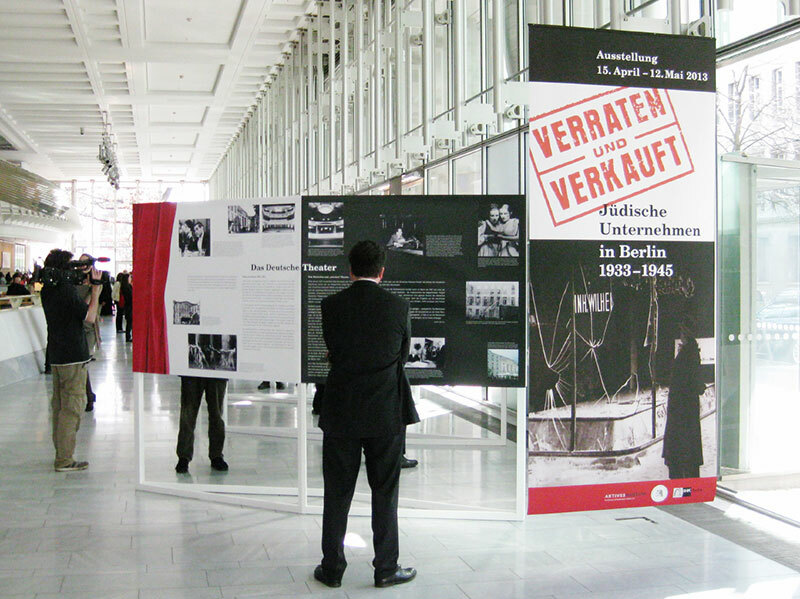 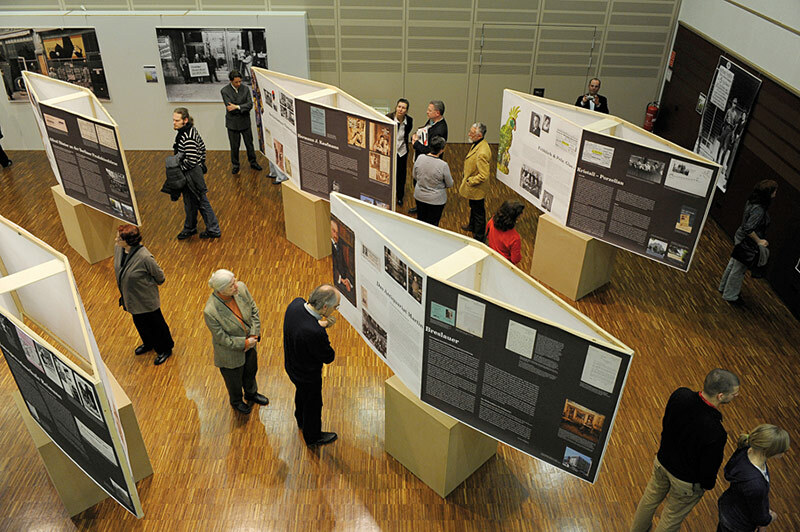 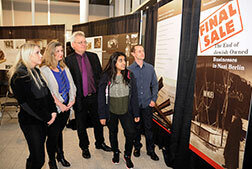 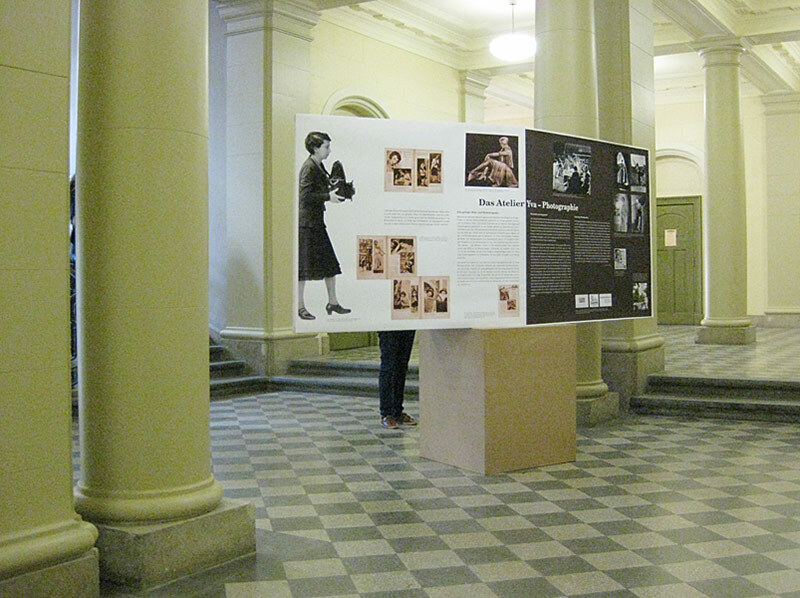 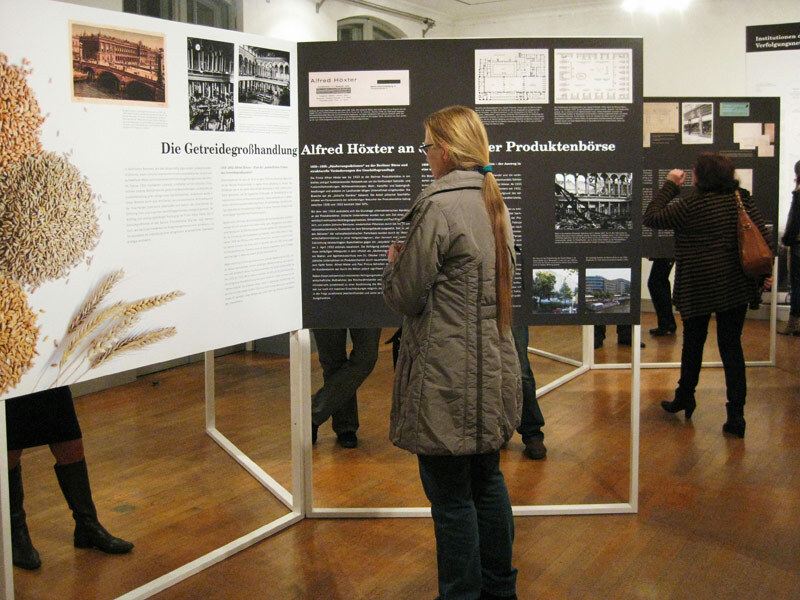 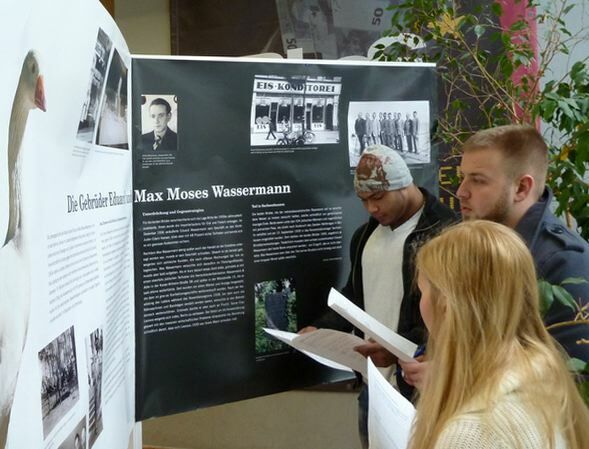 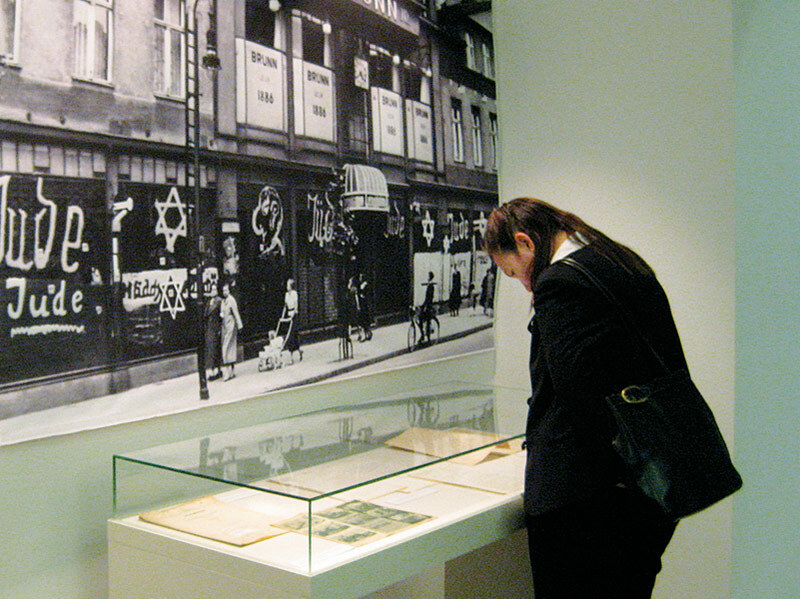 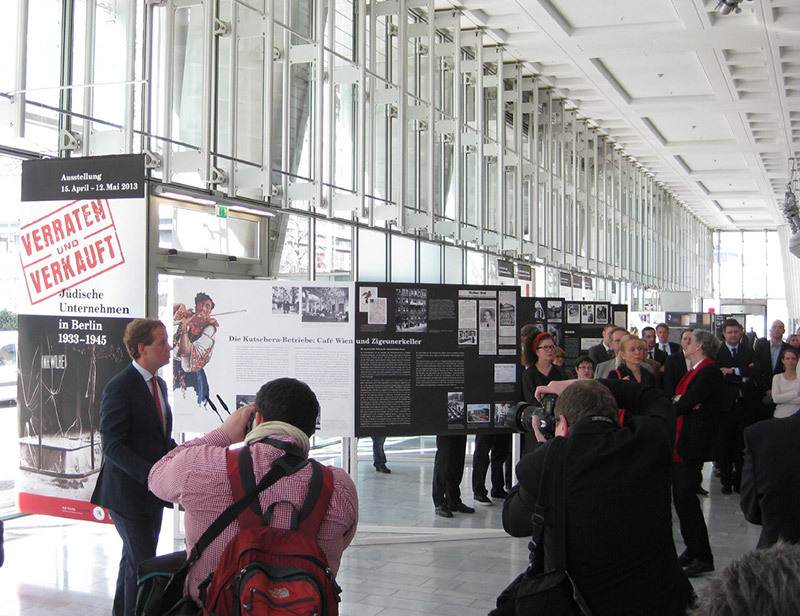 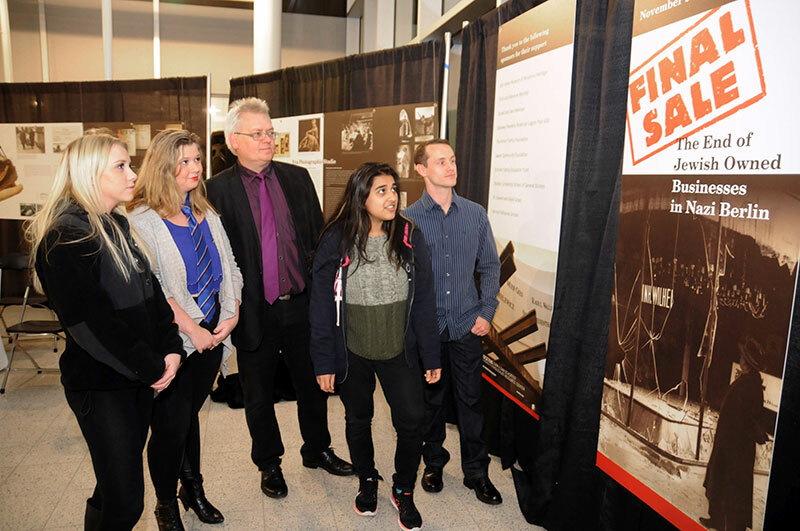 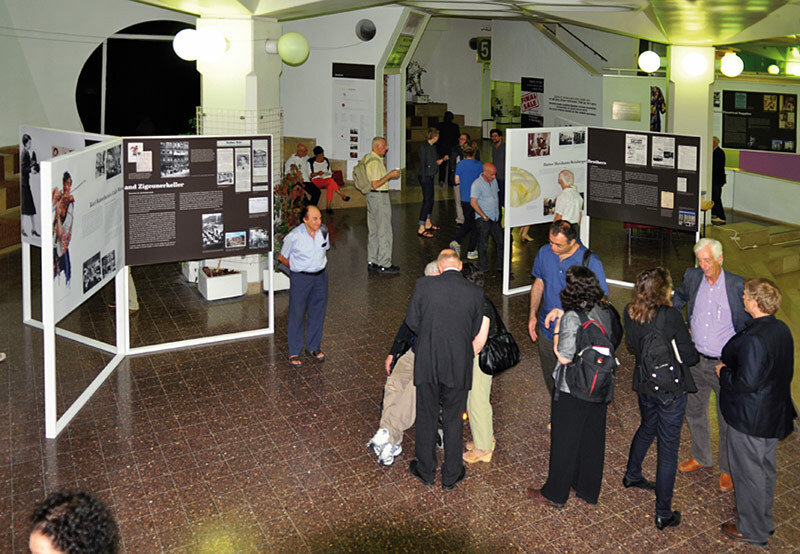 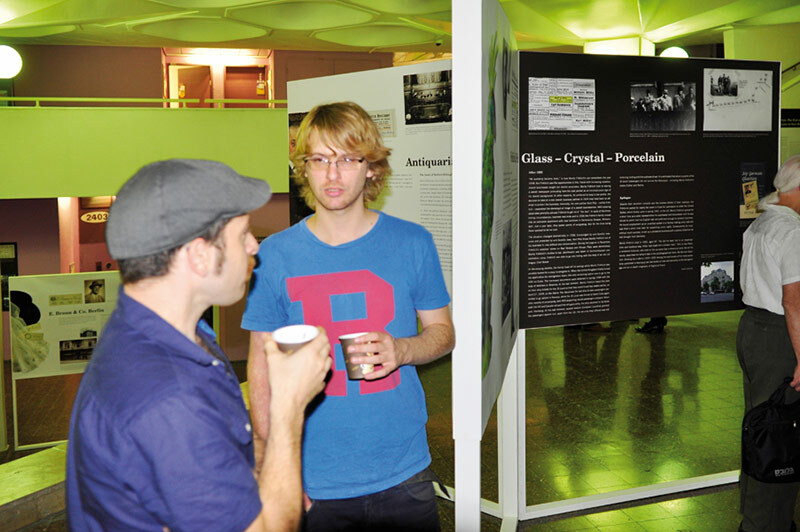 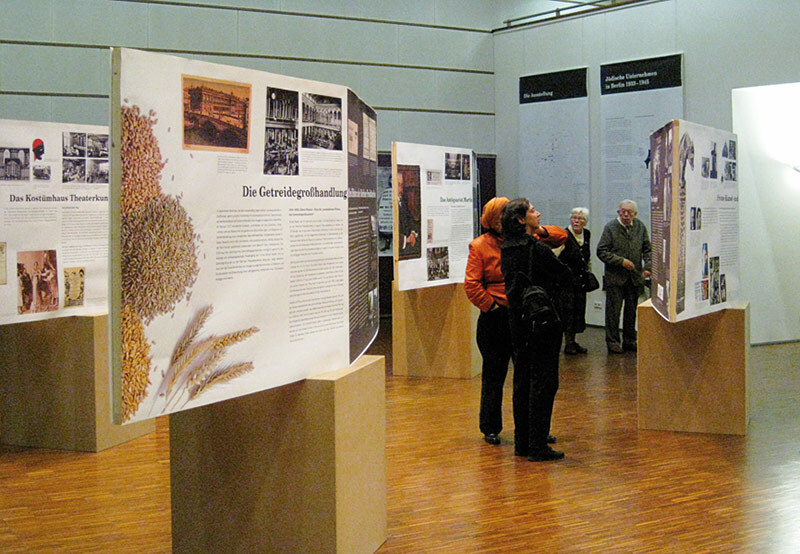 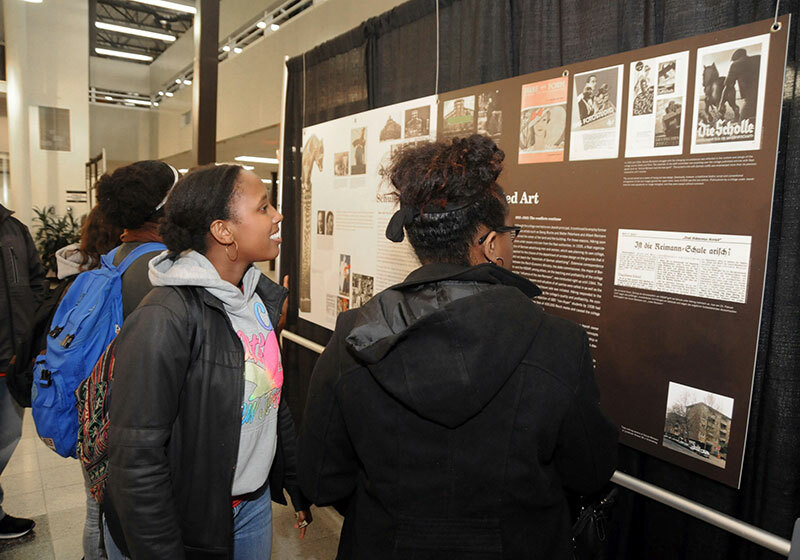 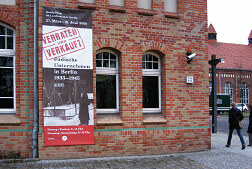 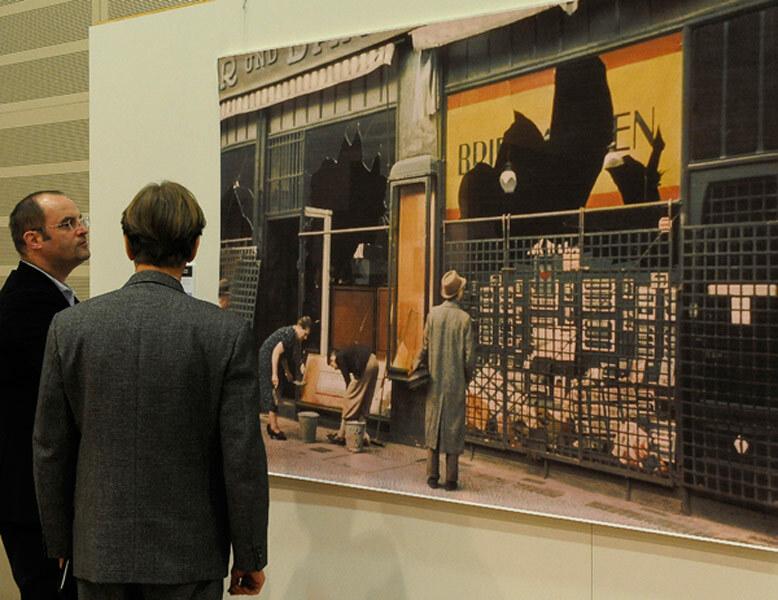 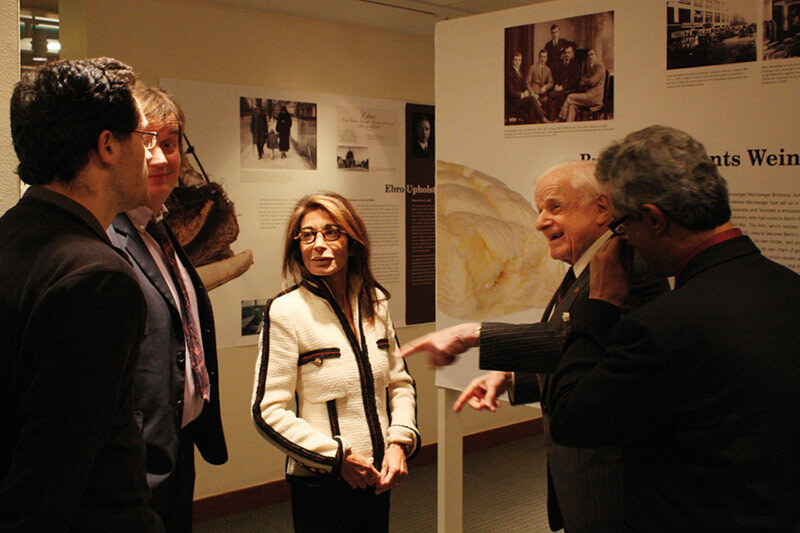 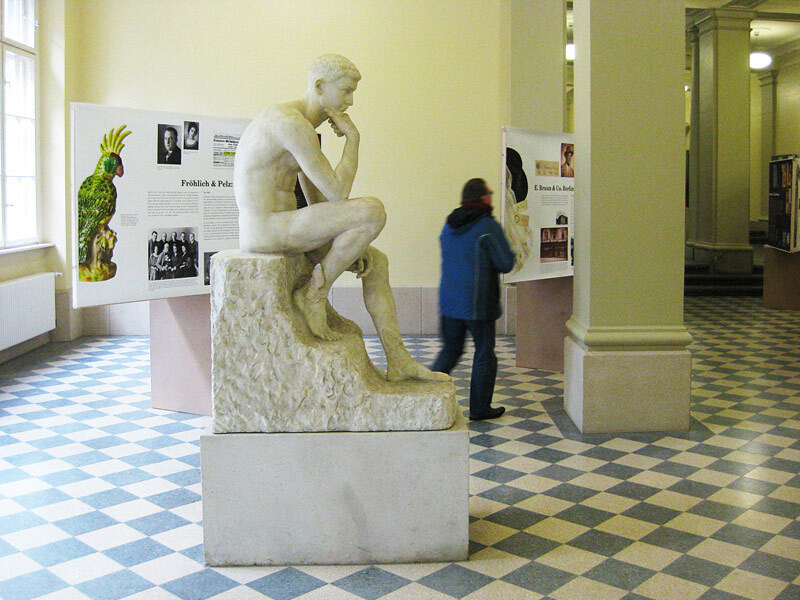 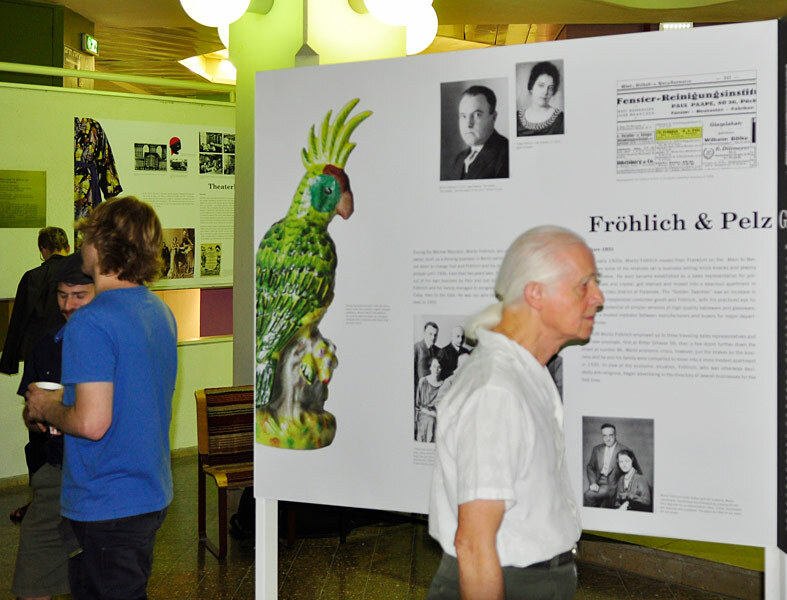 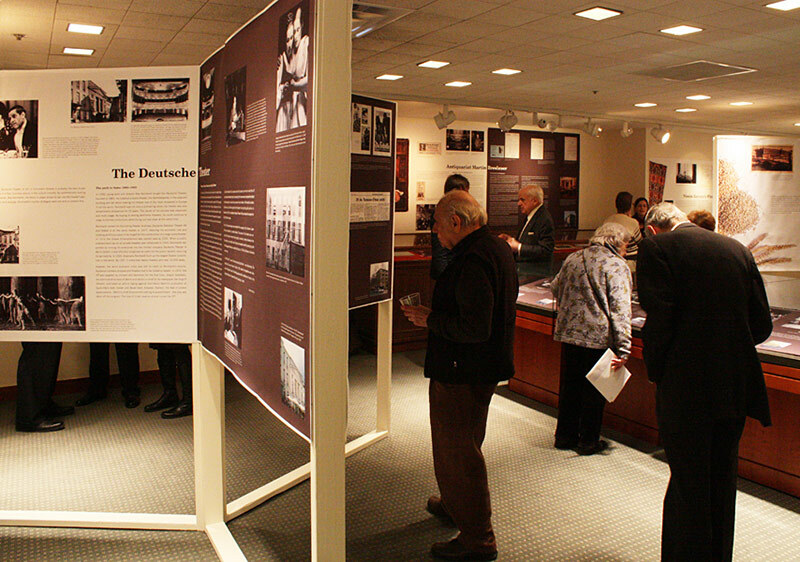 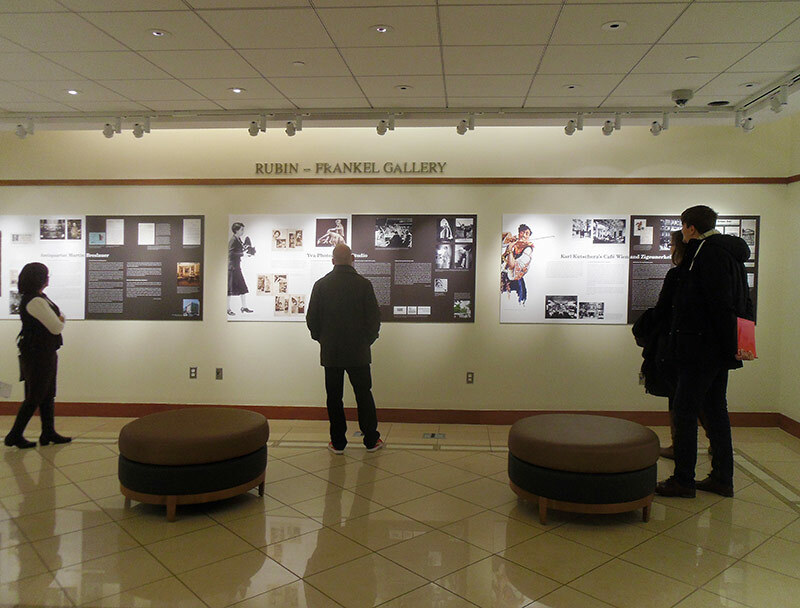 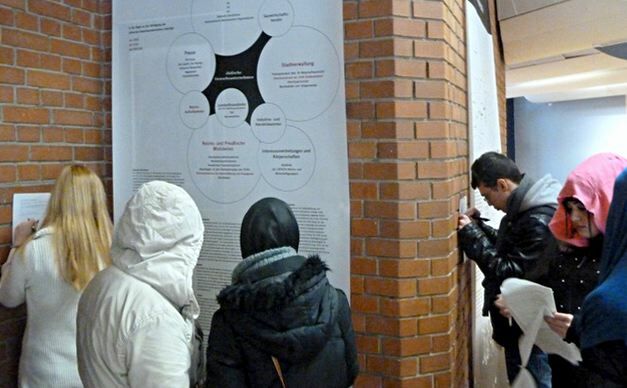 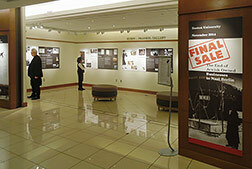 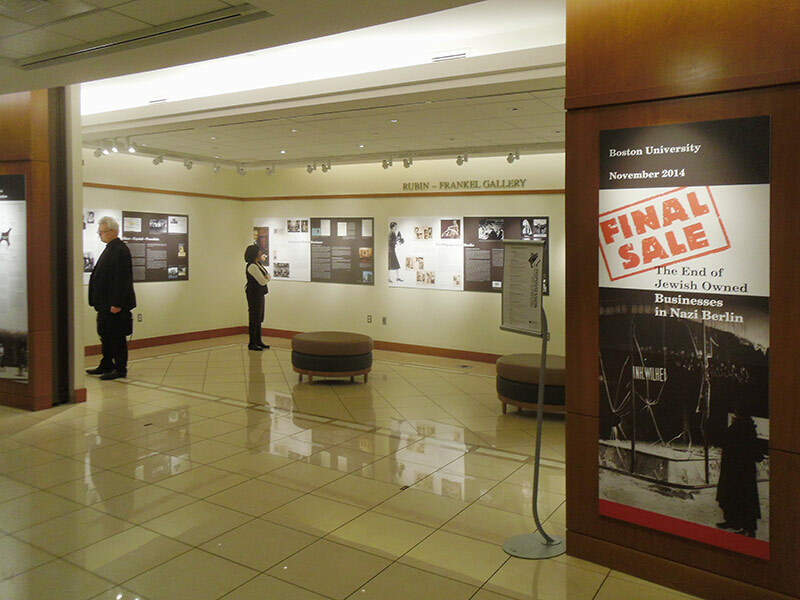 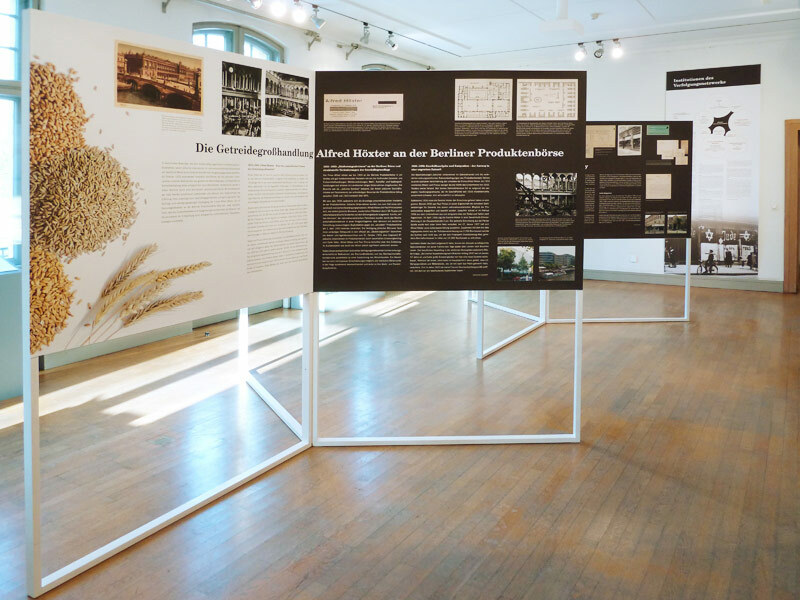 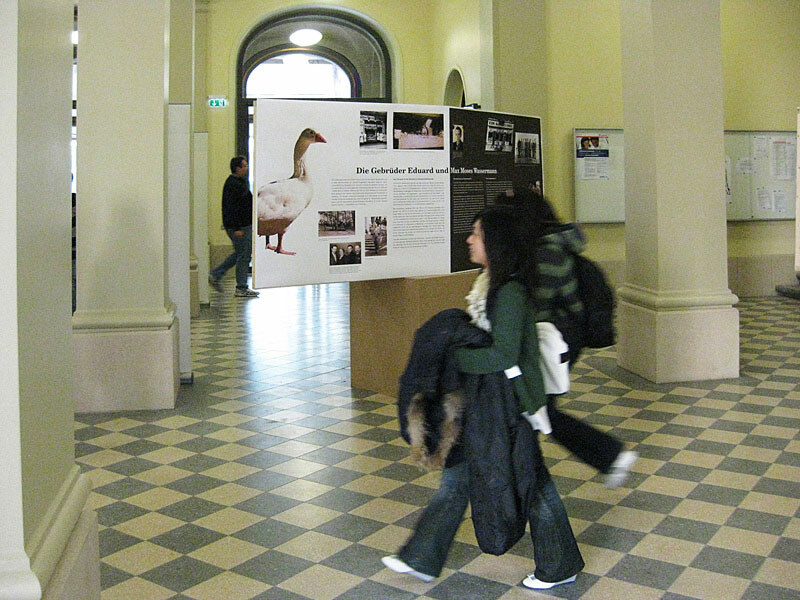 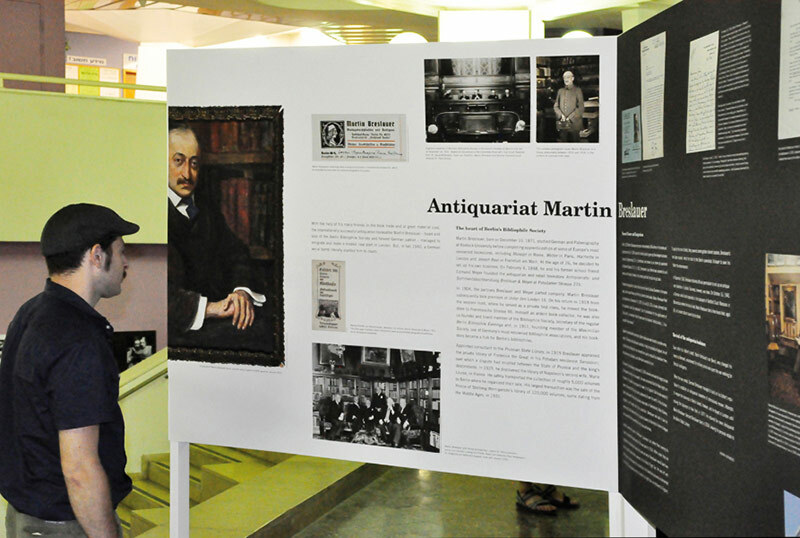 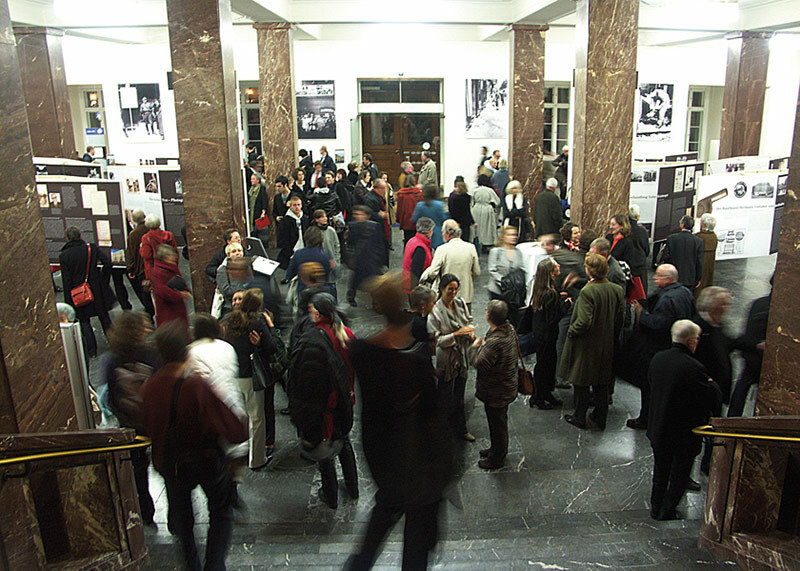 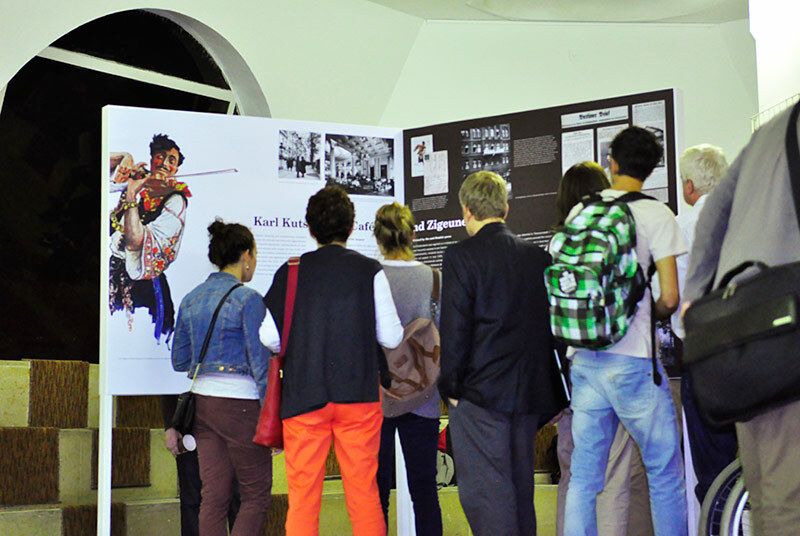 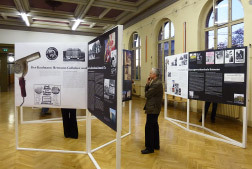 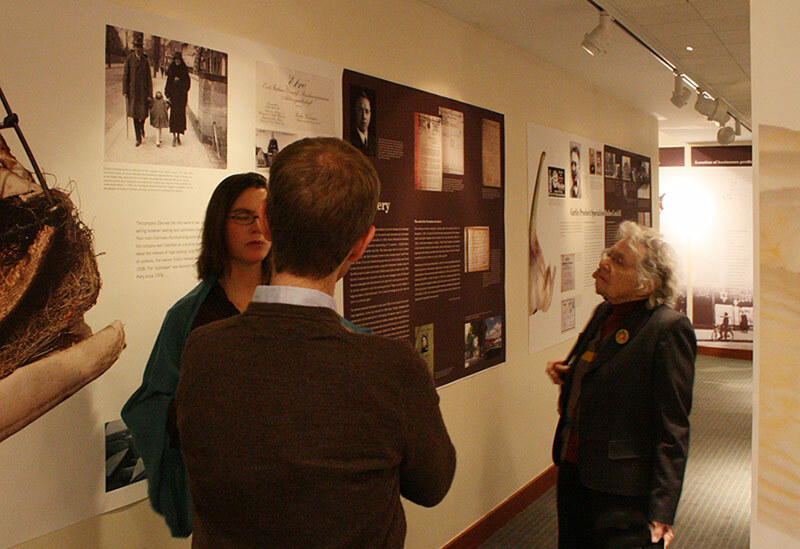 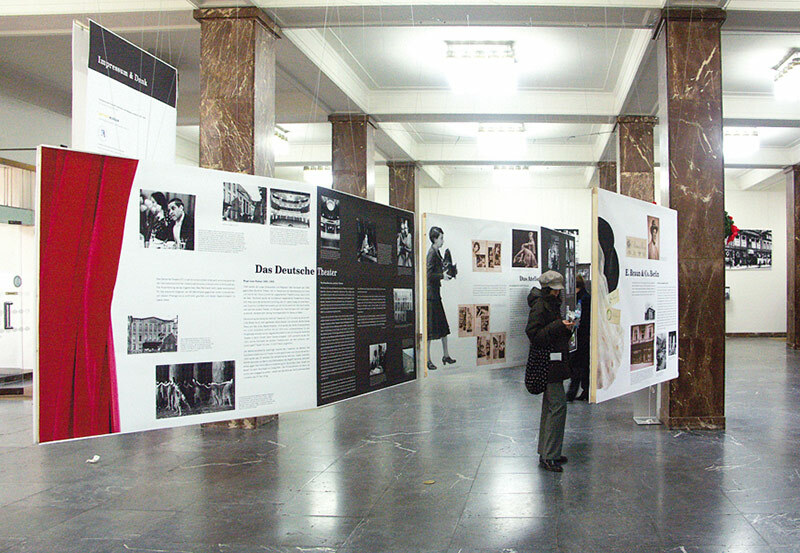 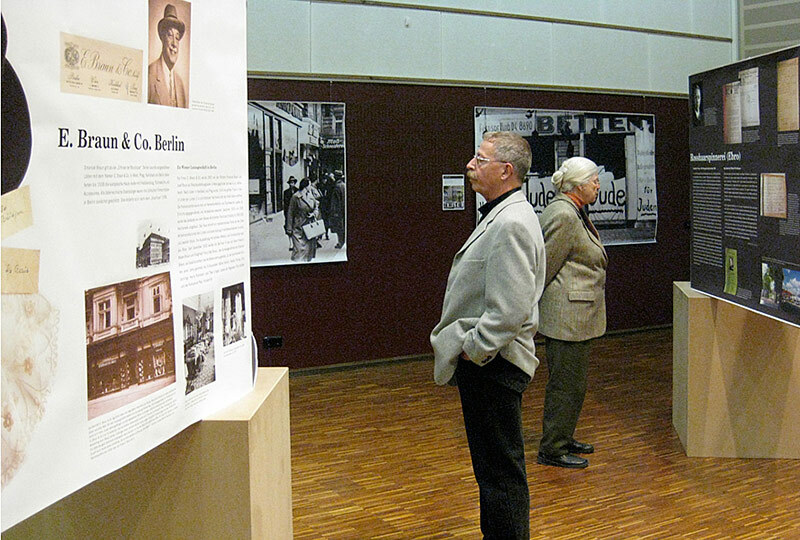 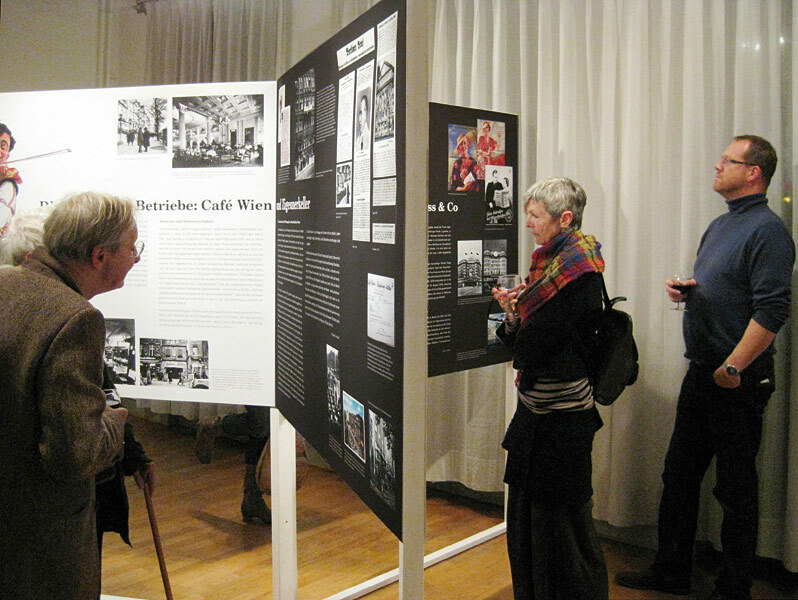 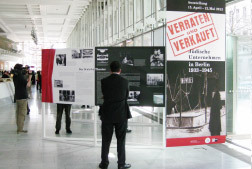 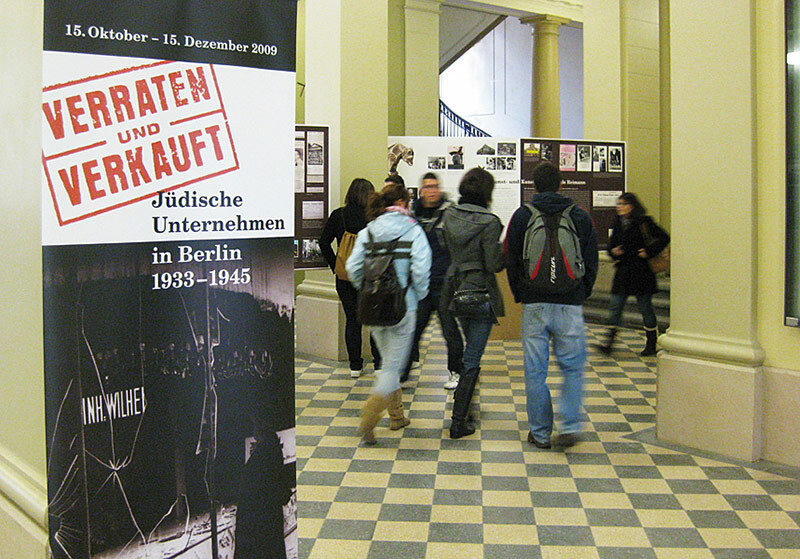 Designed as a temporary exhibition for the main entrance hall of Berlin's Humboldt-University, "Final Sale" has been translated and shown to great success in, among others, Jerusalem and New York. 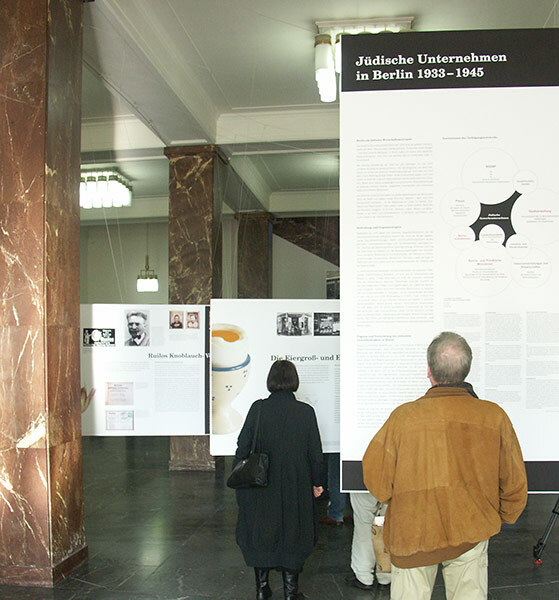 In the meantime the German version has travelled around Berlin where parts were added to fit the occasion. 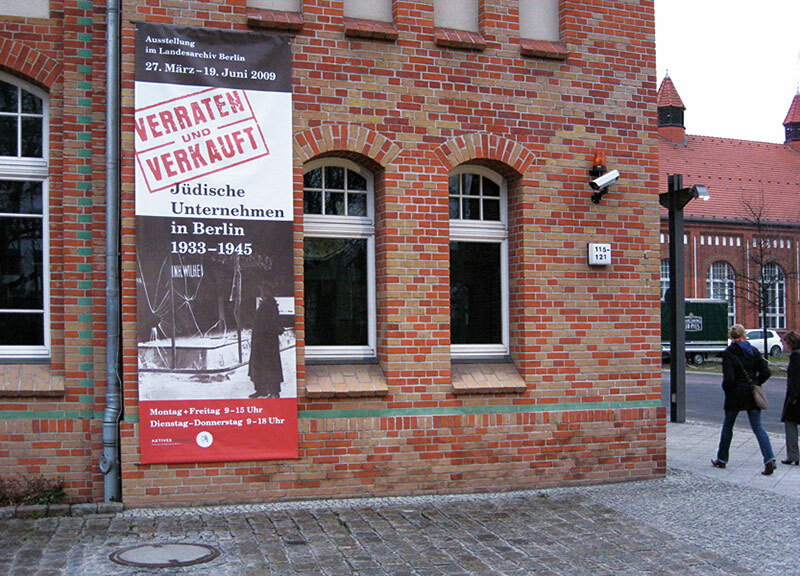 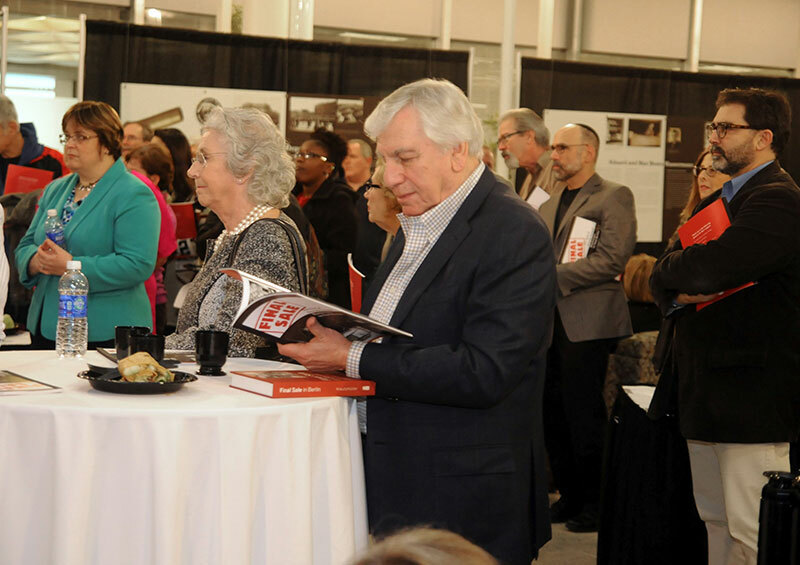 We would like to take thank our colleagues in Berlin, Boston, Jerusalem, New York and Stockton for making this possible!